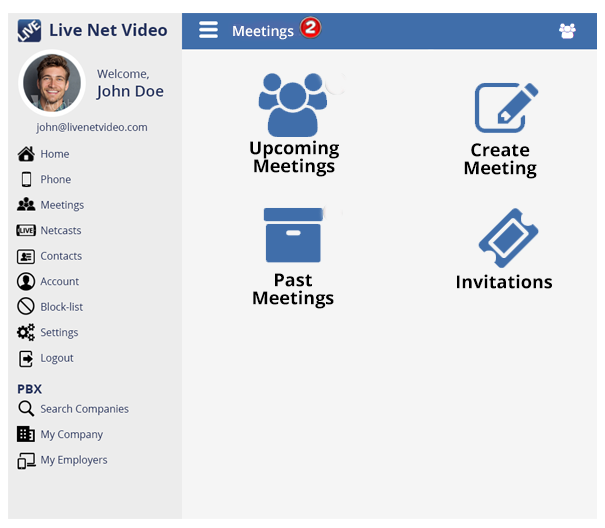 Starting from your Dashboard, click on Meetings. The Meetings Dashboard will open. 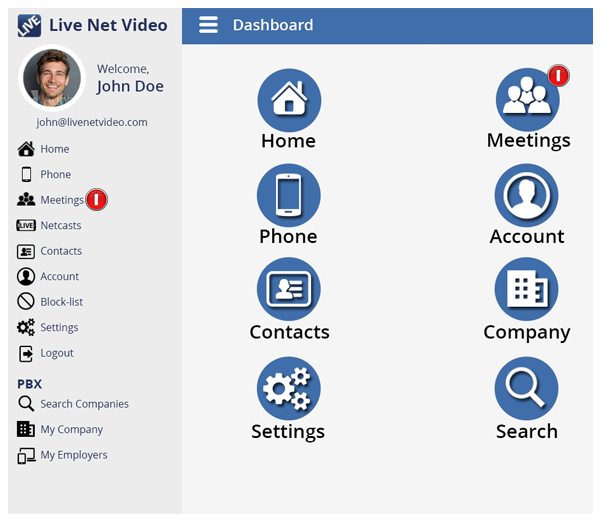 From the Meetings Dashboard, you will be able to manage all of the meeting functions.